In a saucepan, heat the canola oil. Add the garlic and two finely minced shallots. Cook until slightly golden. Transfer to a bowl (don't drain). Let cool. Place the ground chicken in a large bowl. Add the yogurt. Mix well. Add the golden garlic and shallot with oil, raw shallot, ginger, leek and onion. Season with salt and pepper. Cover with plastic wrap and refrigerate overnight. Shred the whole carrot. If you use the Messermeister tool (see tips), you'll get long threads of carrot pieces. Cut into about 2-inch pieces. Set aside. 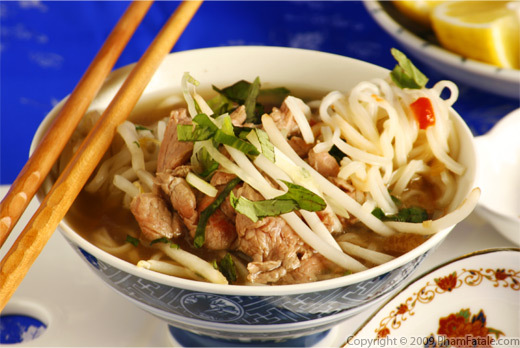 Place the whole package of dried rice vermicelli noodles in a bowl. Don't forget to cut the little threads and discard them! Soak them in cold water for 20 minutes and drain. Chop into 1 inch threads. Set aside. Place the mung beans in a small saucepan, barely cover with water and slowly cook for about 30 minutes. It will form a dry paste. Set aside. Soak the black fungus mushrooms in boiling water for 2-3 minutes then drain. Chop finely. Set aside. In the large bowl of ground chicken mixture, add the carrots, vermicelli, mung beans, black mushrooms and cilantro. Sprinkle with mushroom powder. Mix well. Refrigerate the mixture until you're ready to wrap the eggrolls. In a small pan, heat about 1 teaspoon of peanut oil. Add about 1 tablespoon of the chicken mixture. Cook for about 3 minutes. Taste the meat. Season with more salt and pepper if necessary. And now it's time to call in your eggroll wrapping reinforcement. Basically call in your family. This is a perfect way to give the little ones a taste of cooking. Get a bowl filled with cold water ready. Assign one person to cut the eggroll wrappers into 2 triangles and separate them. They're sold in packages of 30 squares and they are stuck to each other. 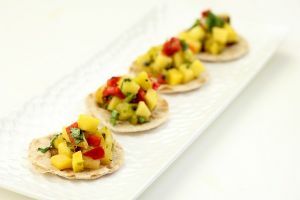 Assign another person to place 2 or 3 lumps of crab meat (if used) and 2 tsp of the mixture at the base of the triangle. And assign the rest of the crowd to wrap them. You fold one of the corners along the base towards the other corner along the base so that it just covers the filling. Then roll the wrapper once towards the top corner. Repeat with the other corner that it along the base. Moisten the exposed top corner with water using your finger. Then finish rolling. Once a plate is full of uncooked eggrolls, you can either store them covered with plastic wrap in the refrigerator overnight or in the freezer up to a month. Once you're ready to cook them, fill a large frying pan with peanut oil or another neutral oil about 2 inches high. Make sure your pan is tall enough so that there is enough room to add the eggrolls without the oil overflowing. If you have a deep fat fryer, by all means, use it. Heat the oil to about 350°F. Place the eggrolls in the hot oil one at a time, seam side down. About 6 to 8 egg rolls should fill the pan at a time. You will see bubbles forming. As soon as each eggroll turns slightly golden, rotate it. When the eggrolls are even and golden all the way around (6-7 minutes), remove from the pan and place on a paper towel to drain the oil. They should be golden, crispy and delicious. You can serve them as appetizers or a main course. Serve the eggrolls with some bún cá chiên, literally rice vermicelli noodles with fried fish or Vietnamese-style grilled beef and you'll get a meal called bún chả giò. Just add pickled daikon radish, carrots, coarsely crushed peanuts, bean sprouts, slices of baby cucumber, some Vietnamese mint, leaves of lettuce and accompany with a dipping sauce with fermented fish sauce base called nước mắm (check tip section for recipe) and some chili garlic sauce or Sriracha. If you can't find frozen eggroll wrappers, you can substitute with bánh tráng (dried rice paper sheets). They're as good, but maybe a little greasier. That was how my mom used to make eggrolls. Fill a bowl with beer and add a teaspoon of baking powder. Brush each bánh tráng with the beer mixture and let it dry for about 2 minutes on a paper towel. Then continue as you would with the frozen eggroll wrappers. Personally I prefer the frozen ones (even though they are not the traditional Vietnamese ones); they're a big time saver which is important considering that making eggrolls is time-consuming to begin with. I like mixing 1 part chicken breast with 1 part dark meat (chicken thigh). I find the result to be more moist as dark meat is more flavorful and has more fat than chicken breasts. I usually grind the meat using the attachment of my Kitchenaid. Just make sure to remove all the bones prior to grinding! The thermometer should register 350°F. If the oil is too hot, it might burn the outside and not cook the chicken all the way through. 6-7 minutes should be more than enough to cook the meat. Also, make sure to make mini-cigar shaped rolls. If the rolls are too thick, the meat might not cook all the way through. I really like the addition of crab meat in eggrolls. Make sure you place the lumps of crab first so that they are still visible through the wrapper after being fried. If you decide to store the un-fried eggrolls in the freezer, it might be better not to add crab to the meat mixture though. I keep repeating myself, but I find that the gadget from Messermeister is THE best utensil for shredding vegetables. Some people like to add 1 8-ounce can water chestnuts, finely chopped to the filling for more crunch, but I prefer not to. I don't think it adds any particular flavor to the filling. A good way to check if your filling is properly seasoned is to sauté some in a frying pan with a little oil. If it's not quite seasoned, add more salt and pepper as needed to the mix. Once the eggrolls are wrapped up, it's too late! 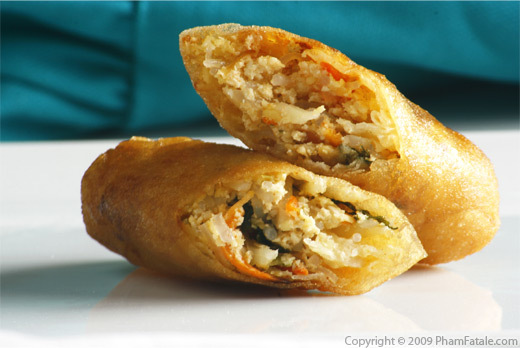 One of the most common condiments to serve with Vietnamese eggroll is Siracha sauce. It's the red chili sauce with the green cap. For those who are not into spicy food as I am, you can serve them with a dipping sauce with fermented fish sauce base called nước mắm. I prefer to serve mini eggrolls, first because they're crispier and second, because it makes you feel less guilty when you polish off half a dozen of them! 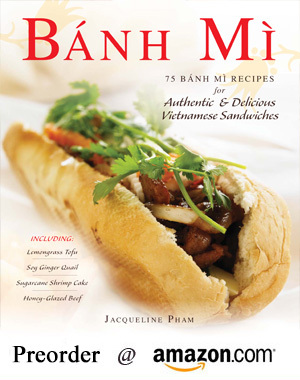 Published By: Jacqueline Pham on June 26, 2009.
i love spring rolls. these look fantastic. Wow, these looks amazing, all crunchy on the outside with lots of flavor and texture! Btw what is the difference bwn chinese and vietnamese spring rolls? They are different but they're still pretty similar. I think Chinese rolls contain more vegetables like cabbage, shitake mushrooms, water chestnut, celery and bean sprouts whereas the Vietnamese ones are filled with crab meat. The traditional Vietnamese eggrolls tend to less crispy because they are wrapped with a dried "rice paper" dough, called bánh tráng. My mom used to make them with bánh tráng that she would brush with a beer and baking powder mixture to soften the product. There are also spring rolls or sometimes called summer rolls (gỏi cuốn). They are non-fried rolls that are typically filled with pre-cooked ingredients in addition to herbs, lettuce and bean sprouts. I'll post a recipe of the spring rolls soon. 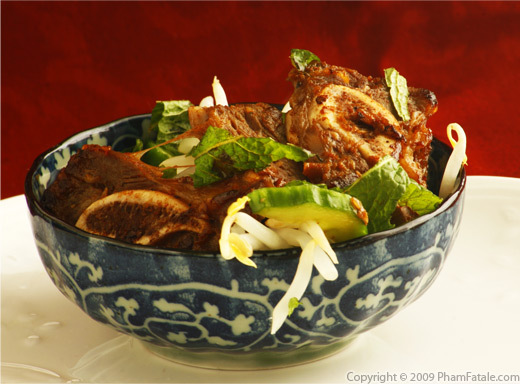 The beauty of cha gio is that it can be tailored to suit individual tastes....we love combining pork and shrimp and adding instead of chestnuts or carrots, either jicama or taro. Hahaha you'll NEED an assembly line to make 200 of these bad boys! But that just sounds like a fun experience, getting everyone in the kitchen to help you. 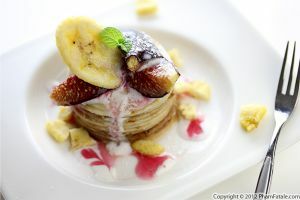 Mmmmm...these look amazing! And your instructions for preparation are perfect. just one look at these made me think of family gatherings where mom, my aunts, cousins and i would sit around the kitchen preparing hundreds at a time like an assembly line. yours looks just perfect! This looks wonderful. I love the idea of an assembly line - group cooking can be such a joy! These look really good and such detailed instructions...I could probably do this! 5 year old sister in law! That is so funny and cute. Umm if these were sitting around on a platter, we'd clean you out! Why do you have yogurt in the ingredients? What does the yogurt do?